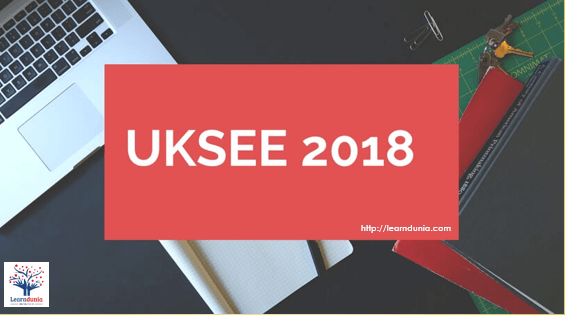 UKSEE Admit Card 2018 will be published by Uttarakhand Technical University. It will be available through online mode only. Admit card will not be sent to any candidate individually by post. It is a state level entrance exam through which candidates can get admission in first year BHMCT, B.Pharma MBA, MCA degree courses. Candidates can also apply for admission into second year of B.Tech, MBA, MCA and B.Pharma (Lateral Entry) courses. Go to the official link uksee.uktech.ac.in and click on Login button. A new page will be show on the screen. Enter the “Registration No. /Application No.” & “Date of Birth” on the website. The Admit Card will be displayed on the computer screen and then download the admit card. Don’t forget to take the printout of the admit card for future use. To keep safe the admit card till admission in the university. Candidates have to bring the admit card issued by the university along with one attested copy. Mobile phones and calculators are strictly prohibited in the examination hall. Without admit card and ID proof, no candidate will be allowed in the examination hall. Candidates should reach their examination hall before one hour ago. Carry any one of the valid photo IDs in original and non-expired such as PAN card, Driving License, Voter ID, Passport or Aadhar Card. If candidates will write anything elsewhere in the OMR answer sheet, then they will be disqualified from the test. Candidate will not be permitted to leave the examination hall before the completion of written examination. Entrance examination centres for first year M.Tech., M.Pharm., MBA and second year (Lateral Entry) MCA will be organized at Dehradun, Haldwani and Roorkee only. When will Release UKSE Admit Card?